What a brilliant piece. The colours and light are great. The subject is a humorous take on the operetta of the same name. 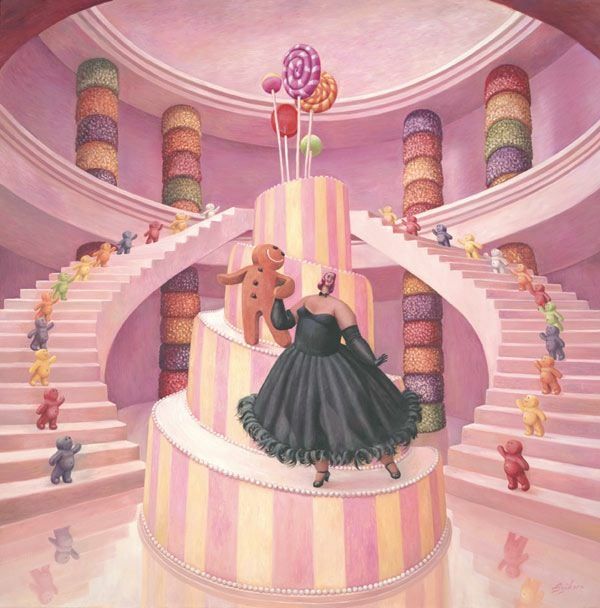 In this piece, Szikora has combined her two most popular and heavily collected subjects, the gingerbread man and the fat lady.